Lampirong (alternative spelling: Lamperong) also known as Windows Shell. One of the most distinct and beautiful architectural details of old Philippine buildings are the windows made with shell rather than glass. We’re not sure if this is because glass was not made in the Philippines or it was just too expensive, but whatever the reason, it has has given us a treasure in these beautiful windows. 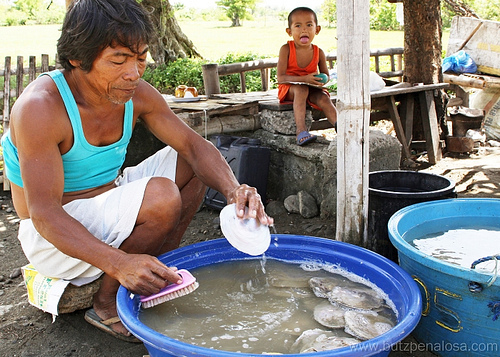 We had imagined that Capiz was something of the distant past until the stands selling “Lampirong” oysters (Placuna placenta) sprang up along the National Highway between Oton and Tigbauan, Iloilo on Panay Island in May. 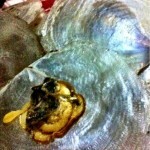 The vendor told us that these Lampirong were harvested right in the immediate area. At first glance the Lampirong seem so thin that there could not be much meat. This proved not to be the case. 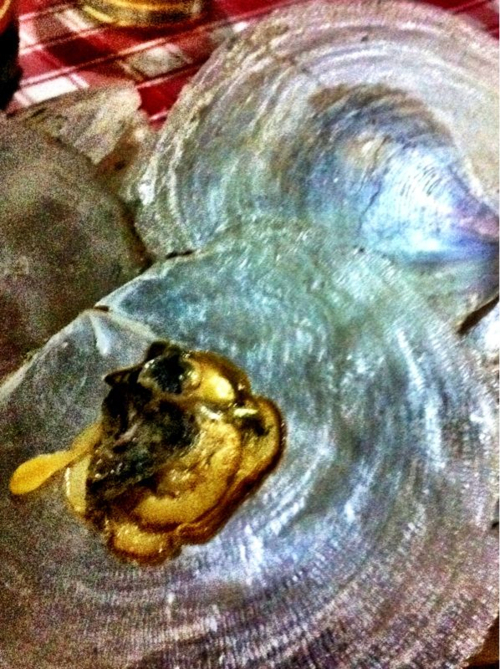 The Lampirong were meatier than other local oysters and, according to my Filipino family, exceptionally fresh, sweet and delicious. The cost was P35 per kilo. The Municipality of Oton is slowly regaining its long lost tile as the lampirong capital of the Province. 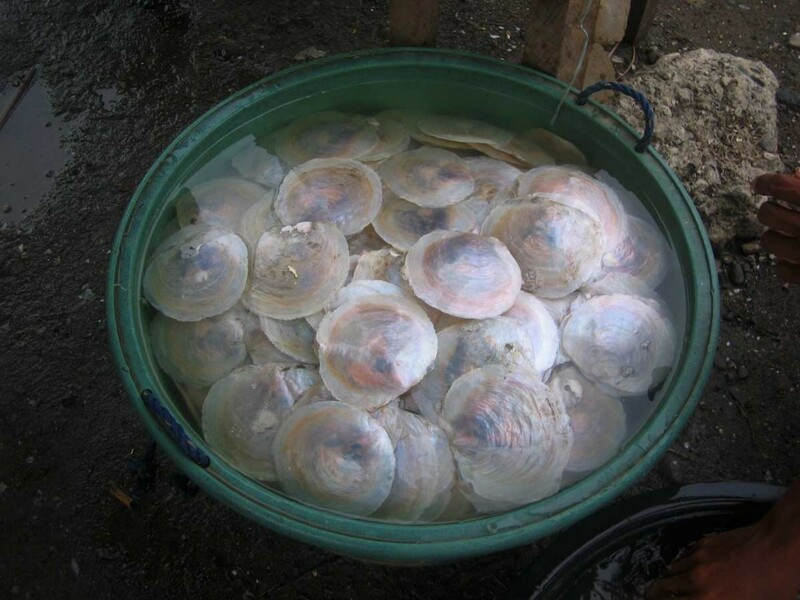 Lampirong or capiz shell (Placuna placenta) is an economically important bivalve because f its shell that is processed into shellcraft, capiz window and other interior decorations. 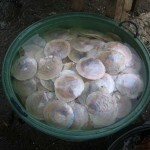 The harvesting of this economically important bivalve started in July 2010. According to the records from the Municipal Agriculture and Municipal Economic and Enterprise Development Offices, the estimated volume of lampirong harvested totaled to 300 tons. For interested buyers, these are some important information regarding the weight size:ratio. For more information, please contact MACO at 3382228 or 3373634 or MEEDO at 3014706.